The Last of Us was already a cinematic game, but it may be making the leap to the silver screen before too long. Movies based on video games tend not to do too well, but if any studio's games stand a chance of reversing that trend, it might be Naughty Dog's. The Uncharted series already plays out like an interactive version of the best pulp action movies, and The Last of Us keeps up the developer's tradition of superb cutscenes. A recent domain registration may be evidence that Naughty Dog is preparing to convert one of its stories back to traditional film, as thelastofus-movie.com has been claimed. 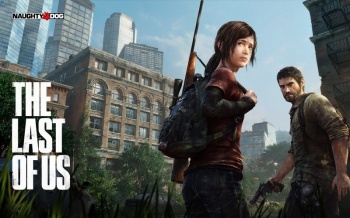 A domain lookup shows that thelastofus-movie.com, thelastofus-movie.net, and thelastofusmovie.net have all been picked up by Sony Pictures as of November 25 (curiously, thelastofusmovie.com remains available). There's been no official announcement or anything from Sony, so this doesn't guarantee that something is actually in the works, of course. Even if a motion picture is in the early stages of planning, keep in mind that many video game movies get lost in a never-ending stream of delays and setbacks. And there are other explanations - nobody bothers to capitalize domains, so personally I hope this is preparation for a blockbuster movie in which an unlikely hero struggles to obtain the final serving of coagulated soy milk: The Last Tofus.